Companies rely on sales to make money. Ultimately, the level of success your company can achieve depends on the level of rewards offered to your sales staff. The key message here: Always look after those who make our business what it is. As your high-performing sales team is core to the success of your business, if sales performance dips, then so do your profits. Refering back to our key message above: Always look after those who make our business what it is. If you choose not to this could result in eventually bringing your business to a standstill…because at the end of the day you are only as good as the team around you. Make your sales team the best it can be! The most successful sales teams in the business world today are those who work well in collaboration with their colleagues, so creating a working environment in which they can grow and develop is vitally important. This makes each team member feel valued by your company and through this environment they are able to learn from one another. Create an environment within your company that breeds success. Then the strong team of individuals within this environment will work hard as part of a unit to achieve and furthermore excel the goals set out by your company. Lang Atholl’s Corporate Rewards offer many ways to get the most out of your sales teams. 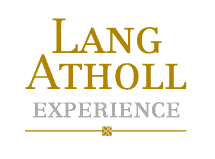 To find out more or book a rewards programme Email us at: info@langathollexperience.com or give us a phone on: 03333 444 231.